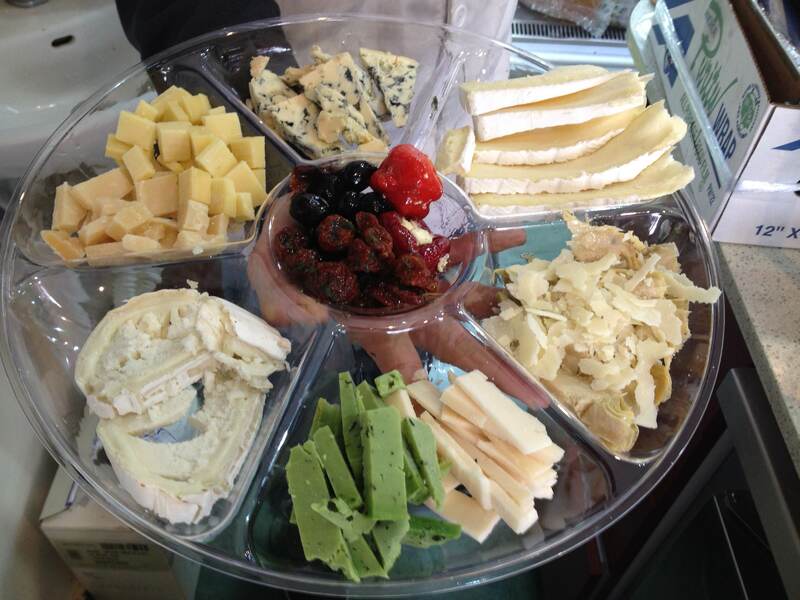 Come to Basher Fromagerie (a new satellite of the larger version in Machane Yehuda Shuk of Jerusalem). 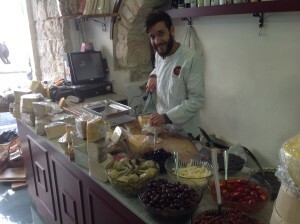 It’s truly a great wine and cheese shop at the top of Agrippas Street, run by two caring and attentive partners, Nadav and Hanan, who offer world-class customer service! 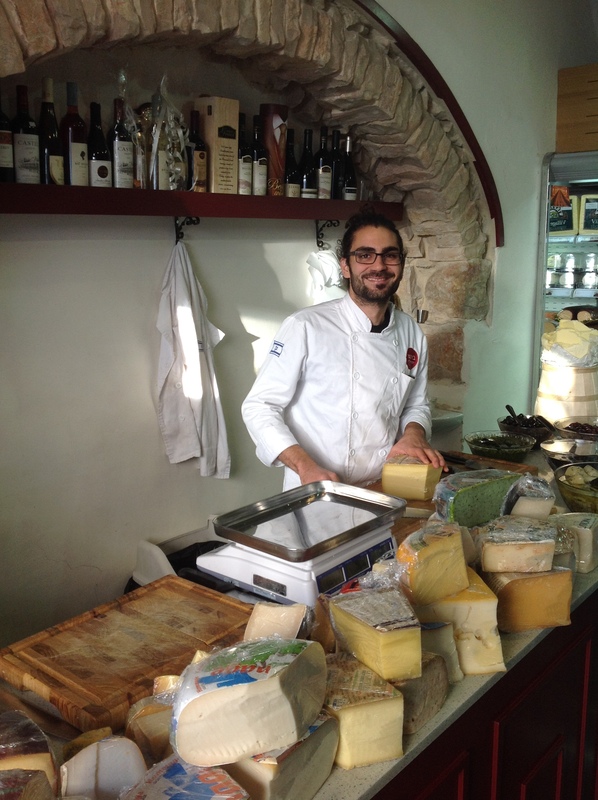 You may be familiar with Eli Basher’s well-known cheese shop, Basher Fromagerie, in Jerusalem’s Machane Yehuda shuk, but you may not have encountered this recently opened smaller satellite deli by the same name on 21 Agrippas Street. Even though these young partners, Hanan (left) and Nadav (below right), just launched this amazing enclave last February, it seems more like a timelessly transplanted antique cobblestoned “French” villa. 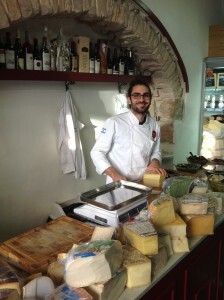 The beautifully stocked, multi-faceted shop carries nearly 400 types of cheeses, mostly European. Their warm, personal service is the deli’s trademark. “We love to work with people, to give exceptional service and make them happy,” says Nadav. “Whether inside the shop or outside, it’s the way Hanan and I live.” This quality of customer service excellence is the reason why Eli Basher chose both Nadav and Hanan to run this new Basher Fromagerie. And this is no exaggeration. 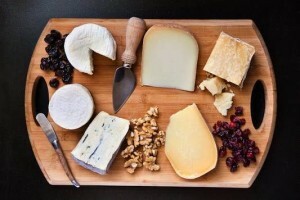 Every customer who enters this culinary enclave receives stellar treatment, with tasty samples of delicious cheeses and hors d’oevures along with up-beat and friendly conversation. It’s a totally personalized shopping experience! Nadav and Hanan discuss the characteristics, textures, flavors and history of all of the products with ease. 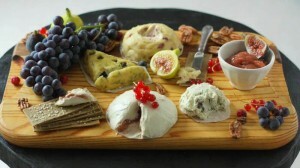 They also routinely offer customers special recipes on how best to prepare and serve cheeses. Many customers return frequently, and some even travel from outside Jerusalem to visit the shop. And the selection of products is not limited to cheese—they also sell fantastic wine, homemade breads, fresh pasta, unique crackers, and a delicious line of homemade chocolates. Nadav and Hanan are on a mission to introduce Jerusalem to high quality gourmet cheese. They also offer personalized classes and parties in which they sample selections of their cheeses and teach guests about its history and creation process of many specialty items. Enjoy this amazing WellnessJerusalem special introductory package of cheese with a FREE bottle of wine for 199NIS when you mention this article.